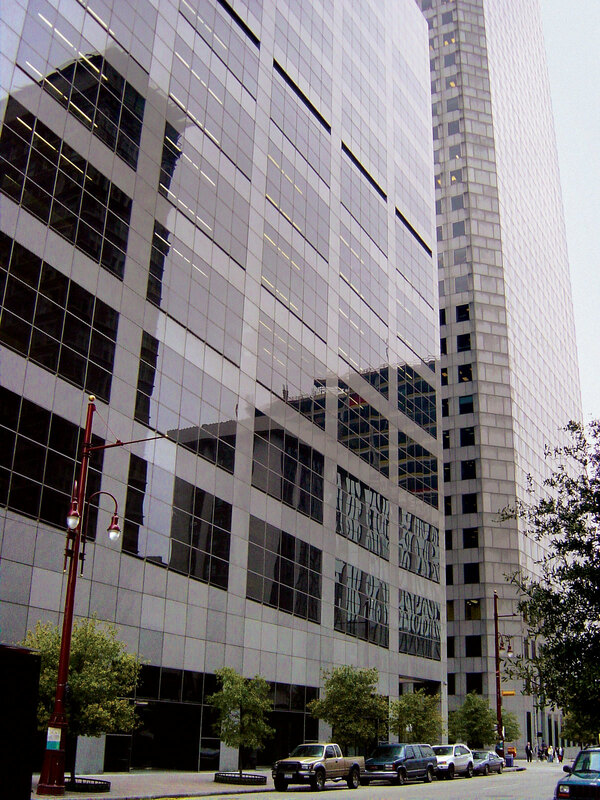 601 Travis, a 20-story, 407,896-square-foot building, was renovated in 2011 to include a new lobby design by Ken Harry and the lobby's focal point, an illuminated glass wall designed by Paul Housberg. As a tenant amenity, a 7,000-square-foot high-performance fitness center includes touch screen equipment along with men's and women's locker rooms. The building also includes a 280-seat auditorium with a wireless audio system and additional video distribution sources via digital transmitters, a Blu-ray player, conference call equipment and touch screen interfaces. Twelve floors of visitor and contract parking are provided. A 'destination elevator' system that groups elevators by floor, in addition to newly renovated cab interiors, make for a pleasant transition into and out of the building.